If you are using a short let property management company they can help you to create a welcome guide, however for those of you who don’t, please find below some tips on how to create a welcome guide for your short term let. To you, your short term let is like an extension of your own home, you know where everything is, and what there is to do in the local area to entertain yourself. For your guests however it is very different, it may be the very first time they have ever visited the area, and things will feel very new to them. It is important for you and your business that you ensure your guests enjoy their stay and sing the praises of your short term let, even better continue to return in the future. When creating your welcome guide, you need to think as you did when you first took on your short term let, and think like someone that has never been there before. A good welcome guide will include information on yourself, the owner, your property, and the local area. Recommendations of local amenities, places to spend the day or evening, and places to eat are always a good start. It is also essential that you supply your guests with emergency contact information both for yourselves, and local medical clinics etc. and not forgetting information on how to use electrical appliances in the property, as I am sure we can all remember a time we have been stumped by a technical appliance. The list can be never ending . . . When trying to put your welcome guide together it helps to think . . . Welcome your guests, and give a brief history about yourselves, the property, and the local area. Guests like to feel a connection with the owner of the property and in my experience results in the property being looked after. Don’t go in heavy with many ground rules, your guests are here to enjoy themselves and don’t want to feel restricted as soon as they arrive. Hopefully this will rarely need to be used, but it is important to have it there. Always make sure that this is at the front of the book and easy for people to find, and includes an emergency contact for yourself (or your short let property management company if you live away) in the case that anything happens to the property. Along with this include information about what the guests should do if there is a problem with the property for example a heating failure or problems with power supply. You may also want to include instructions for where the fuse box, mains water stopcock and gas terminal are in the property so the guests can find these quickly if required. Run through what guests should do in the event of a fire for example where are the extinguishers located in the property, how the smoke alarms work and the location of fire exits. Include a telephone list of local doctors (public and private), dentists and hospitals with maps or instructions on how to get to them. Let’s not forget our furry friends, if you allow pets make sure you include a phone number for a local vet. You will all be familiar with the appliances you have selected for your property, but your guests will not be, and it is important for them to be able to access all the appliances and services that are available to them. The first thing on most people’s mind will be Internet connection so ensure that you have the name of your network and password somewhere easy for your guests to find. Look around your property and think about what appliances your guests are likely to use and leave copies of the user manuals or easy to use step-by-step guides somewhere the guests can access e.g. a kitchen drawer. There’s nothing worse than a guests playing around with an appliance because they have no instructions and breaking or reprograming the whole thing. In your property if you have different appliances that are run by a remote control then you may want to label these, so that they can be distinguished and used for the correct appliance. Instructions on how to use these will also be helpful, and save hours of time trying to change the channel on the TV. If your guests are lucky enough to have things such as log burners or hot tubs available to them then instruction for these will also limit the risk of complications later on, and allow your guests to enjoy all of the property’s features. Be careful when writing this section as you don’t want to come across too strict but it is important for you to lay some ground rules, because at the end of the day this is your property. If your property is in a built up area or you have close neighbours it may be worth having them in mind when completing this section. You may want to remind guests of noise levels when coming and going from the property, after all who wants upset neighbours? For properties that allow pets make it clear if they are allowed in all rooms and on the sofas etc. If this isn’t clear at the start, it may give you a lot of clearing up at the end. Including your terms and conditions in the welcome guide is also worthwhile, with this explain that guests are to report any problems as soon as possible so that you get the chance to rectify any issues. Some of your guests may want to enjoy your local area without the stress of driving so it is important to provide them with information on the local transport operating in your area. Let you guests know where they can find the local bus stops, train or tube stations and include up to date timetables to make this as straight forward as possible for them. Also include phone numbers for local taxi firms and the road name so that your guests will be able to point a driver in the right direction. A nice touch if you have a short term let in London could be to include an oyster card with the guide. This section will be really important to your guests, as they will look to you for advice on how to enjoy their time at your short term let. These could be either personal recommendations or from your local tourist information board. I would always recommend your own personal thoughts as this helps create a relationship between yourselves and your guests. When selecting places to recommend you will want to think of a wide variety, covering all ages and interests. Include recommendations for local heritage sites and monuments for the guests that may enjoy some local history for example if you have a short term let in London include places such as Westminster Abbey, Tower of London, or Tower Bridge. Maybe a recommendation for family day outs with children like London Zoo, or Warner Brothers Studio- Harry Potter. Otherwise, just taking in the views of London from the London Eye, a river cruise on the Thames, or dinner in The Shard. For more day-to-day information, it would be helpful to your guests if you provided them with a list of local amenities such as supermarkets, shops, post offices, banks, ATMs and petrol stations. You could do this easily by displaying them on one simple map with a key. Include a list of what guests have to do on their final day before vacating the property. This may include instructions such as where to leave the keys, to ensure all doors and windows are locked, and what to do with rubbish or dirty linen. Remember your guests are on holiday, so they do not want to spend hours reading through hundreds of pages of rules, and how to guidelines. Keep it concise and to the point with the most important information in an eye-catching place. It would also be good to prioritise the information going from most important to least as you work your way through the book. When producing your welcome guide, always think of it from a guest’s point of view. What would you want to know if you were going to a short term let? If you use this as a basis you will be on track to do a great job! The interior design that you select for your property should provide the guests with a comfortable, attractive and durable place to enjoy their getaway break whilst also providing you with an advert for your holiday let. It is important when planning the décor of your property that you don’t forget its end use, and don’t just see it as an extension of your own home, where you can store your unwanted or excess furniture and knickknacks. Your property let is your business and so therefore your décor needs to be seen as an investment that you won’t have to replace on a regular basis, but something you can get several years of enjoyment out of for your guests. Purchasing cheap furniture and accessories, can at the time be a money saving exercise, but in the long run can cost more money in replacements. However spend too much money and you may not see a full return on your investments. A colour scheme is one of the most important aspects of your décor, as this is the base in which you will plan upon. To obtain the highest possible number of bookings it will be important for your décor to suit and be the taste of the largest audience possible. 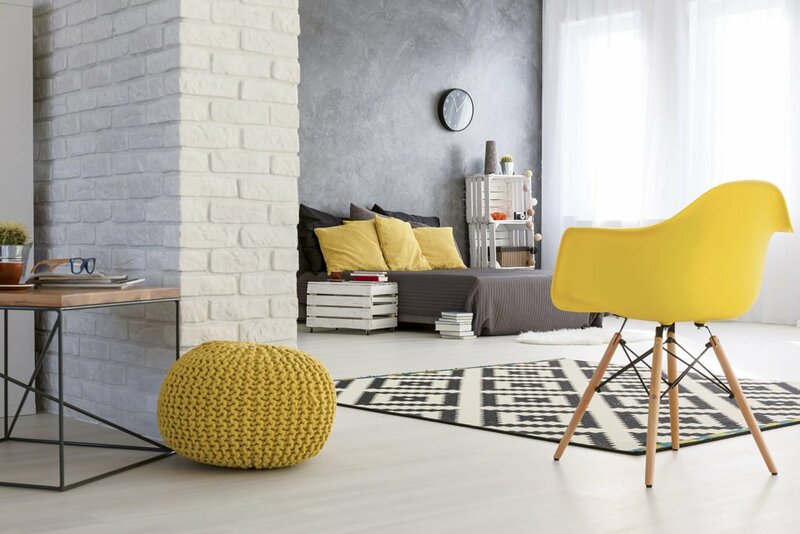 Therefor picking a colour scheme that is neutral and inoffensive will help your property look fresh and airy, whilst looking homely and modern. Please don’t feel that neutral equals boring as splashes of colour can be added using pieces of art, soft furnishings, or signature walls. It can help, to keep the colour theme running throughout the house to give harmony, and give the property an identity. These can be used throughout the house to help add colour for example a coloured rug, cushions adorning a sofa or a throw, bedding or window coverings to keep the sun out. They can be easily changed to keep with current trend instead of changing the whole décor of the property. Take care when selecting your soft furnishings and flooring and think of the longevity, light, pale carpets in a well-trod area of the house, can be hard to maintain and keep clean, as can pale bedding which can become easily stained. Often furniture can make a room look completely different just by changing the orientation. Always have a focal point that you work around, and don’t be afraid to minimise to give guests the room to move luggage around, and enjoy their time in the property. Changing the furniture around can also help keep the décor fresh for returning guests and again can give you a new look without redecorating. When planning your furniture always ensure that there will be enough for the number of people that can sleep at the property. For example enough chairs at the dining room table, or places to sit and relax in the lounge. Make your furniture more versatile by having a sofa bed, a bed that can be pulled out or single beds that can be joined together. This will allow many more people to visit your property. Before purchasing be careful not to select all of your furniture from one place as this can sometimes make the décor look too uniform, and like a showroom instead of a homely place you can relax in, do not be afraid to mix and match some furniture to help give your property personality. This is very important when setting the mood of a room, and your whole letting. When holidaying people like to take the evenings to relax after a busy day exploring, so it will be important to provide mood lighting in the lounge and bedrooms. This can be achieved by supplying lamps as well as a main ceiling light for more direct light in case your guests enjoy reading. It will also be important for the bathroom and kitchen to have task lighting so people are able to prepare their food safely, or pamper themselves to their hearts content. Having a light to welcome your guests on the outside of your property can go along way especially in the winter months, or when they are returning late from a day out. It can also help with safety and security, especially if you live away from the property, and the guests have to gain access themselves for the first time. When your guests selected your property, it was because of the area in which it is in. Whether they are visiting a particular place, family or just wanting to investigate the local area, it is the area that they selected so it is important to bring this into the house where necessary. This could be done through bringing in art/paintings produced by local people, pictures of the local area, also information and what’s on is always helpful. A lovely personal touch is leaving a selection of local produce to welcome your guests when they arrive after a long journey. For example fresh bread and milk from a local farmers shop, or the local delicacy, just to get them started on their stay. As the owner of your short term let, the biggest ways to make impact with your décor, and not always for the biggest outlay would be . . . Adding colour to the property, this will help to add character, and make it welcoming to your guests. Colour can be added in simple ways as discussed above, with soft furnishings, art or signature walls. Make sure that you have a theme or style that you are working towards. This can help you stay focussed when decorating or selecting items to be part of the property, and not let you get carried away and end up with a miss match of styles. Think longevity, your short term let will normally have a lot more focused traffic with many people passing through. It is not always the best idea to select the cheapest of items, but go for quality products that will stand up to the wear and tear. This will make the investment worthwhile, whilst you are able to sit back and relax, as your guests come and go. Author michellePosted on 2018-01-12T15:49:51+00:000000005131201801 Categories Interior DesignLeave a comment on Interior design tips for your short term let. Feedback is the cornerstone of the Airbnb system. As a host, it’s a great opportunity to attract new guests, and to share your view on people that have let your property. This trust-based system allows people to make informed decisions about rentals. Reviews are optional but strongly encouraged. All types of stay, from long-term rentals to short-term lets, have the opportunity for two-way feedback. Here’s how it works. Your guests are able to leave a review of their stay with you for up to 14 days after they’ve completed their visit. These can be of up to 500 words and can be either positive or negative – as long as they meet the company’s content standards people can be free and frank in their opinions. Guests may also choose to leave you private feedback. This is where a guest wants a host to hear their comments on their stay but feels it doesn’t need to be on public display so it appears in the account section of the website. Private feedback is usually comments and suggestions for improvements in what you offer. As such it’s a constructive and useful tool to polish what you offer customers. Guests are asked to explain things they loved about their stay and points where you could improve. You can also leave reviews on guests. This type of information can be helpful for anyone considering letting their property to the same groups in the future. Remember, reviews are never compulsory but they are useful for building up a picture of what you offer, and your experiences. If you’ve accepted a booking with multiple guests then any review you leave will appear on the profile of everyone that stayed with you. The way reviews work on Airbnb is regularly updated so it’s worth keeping track of the most recent processes. For example, the latest changes mean your reviews on guests are revealed at the same time as their reviews on you. This facility was added so people could leave honest reviews without getting unwarranted criticism as a direct result. The opportunity to leave a review is open for 14 days after a guest’s stay. That’s apparently because 90% of users that will ever leave a review do so in that period. This gives users fast feedback on a property but also means you need to consider the timescale if you want to leave a review. This may be particularly relevant if you have concerns about the behaviour of a guest – if you think others need to be aware of your experience then ensure you complete the details in time. Reviews that don’t cover what actually happened during the guest’s stay. This could be (for example) religious or political commentary. Reviews that endorse illegal or harmful activity. This could be obscene, threatening or discriminatory comments aimed at the host or guest. Reviews that share identifying information or violate intellectual property rights. Reviews where the content is used as extortion. This is not a common problem but it’s not unheard of. Reviews that explain the details of a Airbnb investigation. Feedback and reviews are such an important part of the way Airbnb works that it’s worth investing time in giving and getting comments. However, if you can’t fit this kind of Airbnb property management into your schedule then professional services are available to manage your rental home. Central London-based management company helloGuest covers every aspect of short stay guest rentals. 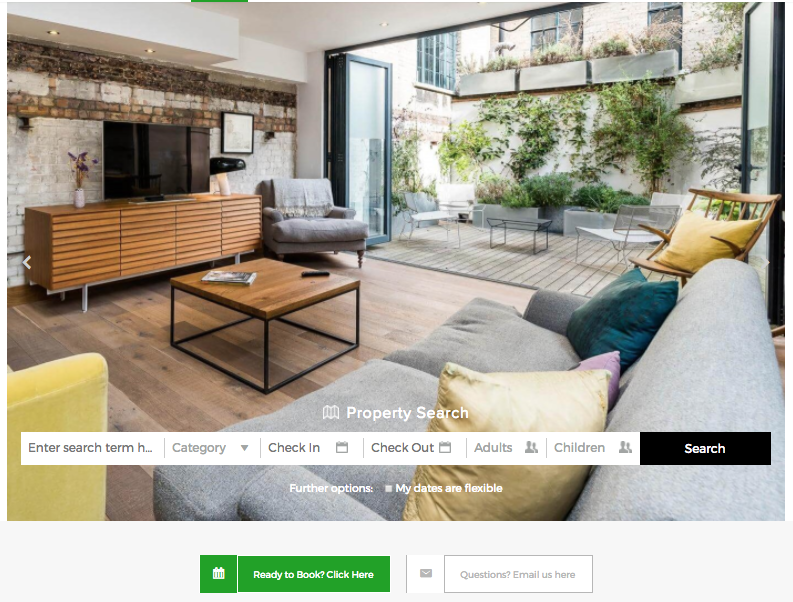 They can support property owners in managing listings and profiles on a number of key advertising platforms, including Airbnb, HolidayLettings and TripAdvisor. Here at Hello Guest, we understand how difficult handling short-term let properties can be. It’s not only managing the property between stays and keeping everything looking ship-shape, but knowing where to advertise your accommodation in order to attract a continuous stream of guests through your doors. Luckily, there are lots of easy to use sites on the internet that are available to help you. With plenty of people perusing them each and every day, they’ll make certain that your property is seen. When it comes to advertising short-term let properties Airbnb is an obvious place to start. Well-known, with plenty of traffic, it was specifically set up to connect landlords with rooms to spare with travellers looking for a unique place to stay. It certainly has lots to offer you, including full control over your availability, prices, house rules, and how you interact with guests, and leaves check-in times entirely at your discretion. It’s also incredibly easy to use – you simply set up a listing, welcome guests, and get paid through a secure system at the end of it. Best of all, the company will deduct only 3% from the total amount you earn, in the way of a very competitive service fee. TripAdvisor is similarly well recognised, and has plenty of people visiting it to see what’s available each and every day. This makes it a great place to list a home or room for let. With the largest travel community in the world frequently checking it out, it really is a good place to earn money easily, and has the added boons of no upfront fees nor contract. Like Airbnb, the site will take just 3% of your total profit as a booking fee, making it a highly attractive prospect for landlords like yourself. House Trip advertises over 300,000 holiday homes from around the world, making it another handy site on which to list your property. Essentially just another arm of TripAdvisor, it charges the same 3% fee as its parent company and has many of the same advantages. However, as it’s slightly more specialised than the former, it might still be worth placing an additional ad here. OwnersDirect has an astonishing 775,000 holiday homes advertised on it, so perhaps yours deserves its place among them? Allowing you to easily input your details into its database, it will ensure that your property is viewed by travellers in 190 different countries across over 50 dedicated sites. Giving you the option to control prices, availability, and who stays in your property, there’s little to dislike about it, and it arguably has the best in-class booking tools on the internet. Wimdu is another popular place to advertise a short-term let. With over 350,000 apartments and holiday homes on site, it gives hosts the opportunity to earn around 900 euro per month on average simply through letting their empty property, and is quick to pay up too. Automatically transferring your profits into your account within 24 hours of your guests arriving and having checked in, we would certainly recommend that you give it a try if you’re hoping to increase exposure. One of the most frequently used sites for holiday homes, HomeAway has over one million listings, and your short-term let should be among them. Making it really simple to add your information to its database, it’s another part of the OwnersDirect family, and offers all of the same perks as its highly popular sister site. Booking.com is available in over 40 languages, lists 1,495,104 properties and covers 228 countries. In London alone there are approximately 7,052 properties on their database. Unlike some other platforms Booking.com do not charge your guests extra, the price you set is the price they pay. They also have a simple calendar that will integrate with other platforms. Making advertising your short-term let properties easy, this plethora of handy websites can be utilised to make your profits soar. Be sure to include your short-term let among their listings today, you may also wish to consider smaller specialist sites for city rentals such as Only-apartments. Alternatively, you could opt to contact a reputable property management company like our own and have them do all the hard work for you. Author michellePosted on 2017-10-30T12:35:49+00:000000004931201710 2018-01-12T15:39:04+00:000000000431201801 Categories Short Stay Rental SitesLeave a comment on Where can you advertise short-term let properties? With spending on inbound business visits to London in 2016 reaching 3.25 billion pounds (Statista) it is no wonder that property owners are looking to make their short-term let Airbnb listings more appealing to the business sector. Making your property business ready can help you to fill gaps in your calendar, ultimately increasing your profits. This is because business people tend to travel more often during weekdays and businesses also generally operate throughout the entire year, even during off-peak times when tourists are less likely to visit. Business people often lead busy lives and are unlikely to want to spend hours every time they travel searching for somewhere to stay. It is therefore common for them to remain loyal to a particular host if they have had a good experience with them in the past. So how can you make your short-term let more appealing to business travellers? Read on to find out more. If you have a spare room you could transform it into a study with a desk and comfortable office chair. Most hosts would prefer to make any spare rooms into bedrooms but you may have the space for a bed and desk and if not consider buying versatile furniture where beds can easily be stored away if a business person is staying. Alternatively, find an appropriate space elsewhere in the property, ideally in a quiet location. The workstation could include a mouse, keyboard and computer (although business people tend to travel with their own laptops). You may also want to consider spare laptop and mobile phone chargers, a printer, fax machine, scanner/photocopier and a landline telephone. The majority of business people will need access to the Internet, so ensuring that you have adequate broadband speed is a must. Check to see if the broadband is accessible from all rooms within the property and if not think about ways in which you could improve this perhaps with a booster or having fibre optic installed. You should also ensure that you are on a sufficient broadband package so that you do not get hit with a hefty charge if guests go over the allocated usage. 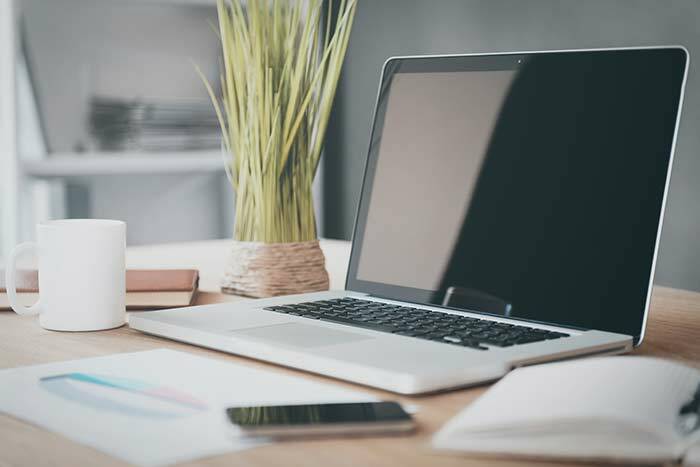 It is also a good idea to have an Ethernet cable plugged into the router so that guests can opt to have a wired connection. Most importantly ensure that they have the necessary password and instructions to login to the broadband. If you are looking to go that extra mile you may wish to consider stationery items such as pens, pencils, rulers, rubbers, a calculator and notepaper. You could even get some of these things branded around your short-term let. Another nice touch is to have a coffee machine; many business people lead hectic lives and will be grateful for convenience items like this. Other items that will help to ensure that your business guests have a pleasant stay include an iron and board, hair dryer, clothes hangers, shampoo and conditioner, toilet paper and fresh towels. You could also leave them information on a local laundry service. This goes for all short-terms lets regardless of the type of guest staying but you should ensure that you have carbon monoxide and smoke alarms installed and they should be regularly tested. Business people tend to be in a hurry so make their travel experience as stress-free as possible by creating a simple check-in and out process. This can be achieved with a lockbox, which also allows for 24-hour access. Airbnb have a Business Travel Ready program, through which it aims to get more properties up to the quality standards expected by business travellers. Properties that are travel ready are also awarded with a badge. These listings have to meet certain requirements, most of which are covered above. With this in mind it seems that it is ever more important for hosts to adapt their properties to tap into the business sector. 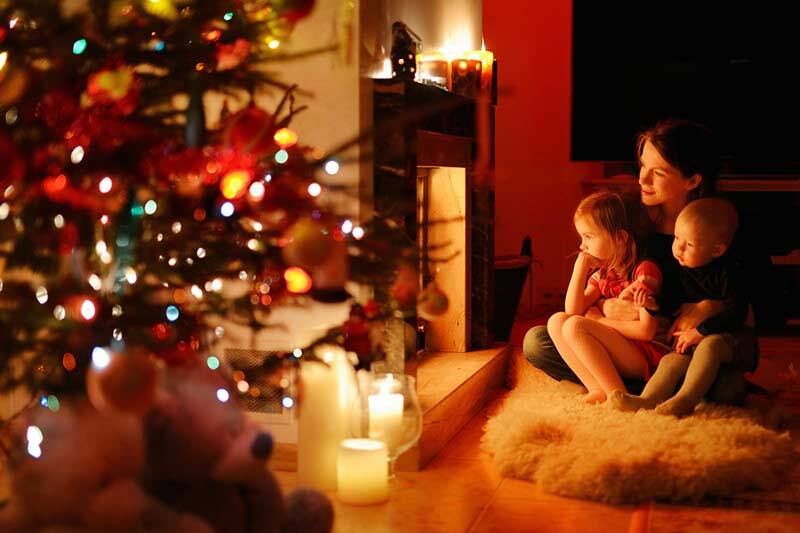 Yes it is that time of year again; love it or hate it Christmas is fast approaching, read on for some tips on how you can transform your short-term let for the festive season. Christmas is not complete without decorations. There is no need to go overboard as even a few accessories can help to give your property that touch of magic. Any decorations should be chosen carefully and complement your existing style and target market. For example, if you are trying to appeal to families your decorations may be more playful than if you guests are predominately older couples. Decorations can include fairy lights, tinsel, stockings, ornaments and of course the all important Christmas tree. It is nice to have flowers and/or plants in your short-term let throughout the year and you can change the type depending on the season. For example, Poinsettias are popular around Christmas and are well known for their distinctive red leaves. Holly and mistletoe are also iconic florae for the festive period. You could also consider a wreathe for the front door or as a table centre piece. Don’t break the bank but if you would like to leave your guests a welcome gift think about something relevant to the time of year. For example, mulled wine, mince pies, a hamper, crackers or a Christmas novelty gift. Another novel idea is to have an advent calendar which each of your guests can open on the days that they stay. If you are not keen on leaving gifts an alternative could be to leave a Christmas card. For those times when your guests opt to stay in make them feel at home with Christmas films, music and games. Let your guests know what is going on in the local area by providing them with printed information on Christmas events such as markets, theatre productions, nativity plays, fireworks, church services, parties and Father Christmas experiences. Let them know prices, locations/directions and how to book (if required). Remember different events will appeal to different people; if your guests are bringing children their interests will differ to those on holiday as a couple or with friends. It is also helpful to provide your guests with additional information, such as supermarket opening hours. Give your property a cosy and Christmassy feel with festive blankets or throws, candles and diffusers/air fresheners. However, for safety you may want to consider LED candles. Also think about changing the duvet to a warmer tog. If your property has a log burner this is the perfect time of year to showcase it. Make sure that you stock up on logs/fuel and that your guests have everything they need to safely light a fire. Also ensure that your guests will have adequate heating and that when they arrive the property is warm. It is also a good idea to make sure your boiler has been serviced. You may want to change the normal toiletries that you provide to your guests to something more seasonal. For example, you could invest in Christmas scented shower gels and soaps. Short term letting has become increasingly popular, especially with the birth of platforms such as Airbnb that allow people to easily market their properties. This is fantastic but it also poses some challenges for necessary auxiliary products and services that come with property ownership, such as insurance. At the heart of the matter is short letting of a residential space no longer neatly falls under either purely residential or commercial classification as it is a mix of both. Property insurance has been around for donkey’s years and for good reason to provide proper protection against a variety of unwelcome events. The issue is many home insurance products for residential properties may only provide partial cover or none at all for properties used for short term letting. Some do and its best to check with your insurer to understand what exactly is covered. Having insurance in place to protect you when you don’t have guests to stay is just as important as having insurance in place when you do. I know this sounds worse than the worse kind of household chore but there will always be a requirement that your everyday insurer knows what you’re doing. Pick up the phone, rather than sticking your head in the sand, and speak to them. If your insurance company tells you they do cover you then read the small print in your policy as they may only cover you for so much rather than for everything you need. The vast majority of residential home insurance look at having paying guests to stay as a commercial activity and it will consequently compromise or completely invalidate your cover. 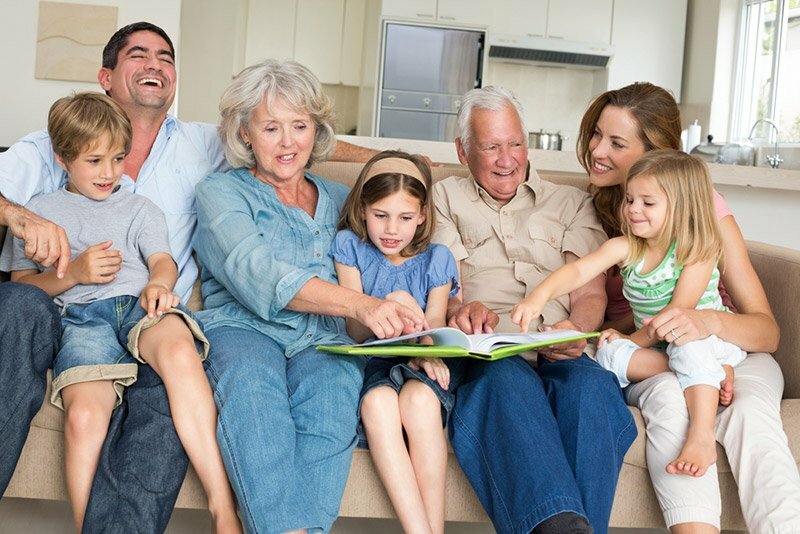 The good news is things have evolved and there are several specialised home sharing policies available to you as well as some coverage from some of the short term lettings platforms. The leading short lettings platform Airbnb offers an ‘Airbnb host guarantee’ policy for damages up to £600000. However, this does not provide comprehensive coverage and is aimed mainly at helping only with certain instances of guest damage. The other thing to be aware of is it’s the Airbnb insurance policy that they apply at their discretion. 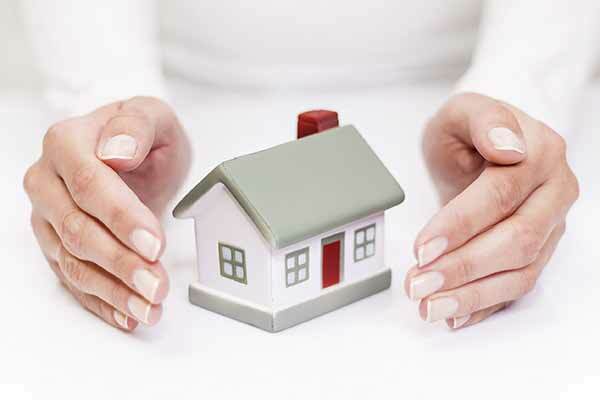 As property management specialists for short term lettings, we would recommend getting your own specifically designed insurance product that covers you for all the risks created by having guests in your home (malicious damage, accidental damage, theft by the guest, unforced entry, public liability etc.). There are several insurance policies available for short term lets and we would like to recommend Guardhog, several of our hosts are using them and are very satisfied. They have tried to make the policy simple to use and easy to put in place. They don’t need to replace your existing insurance and work on a ‘pay per stay’ basis so you only pay for insurance when you actually have guests to stay. If you would like to find out more information about their products and contact them you can visit their website at Guardhog.com.